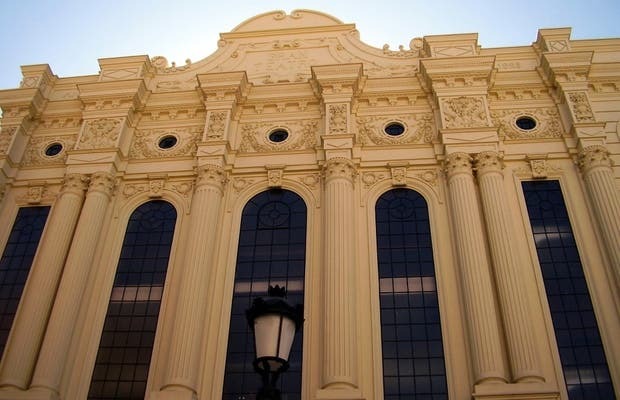 The Grand Theatre is the main point of contact with the culture of the capital of Huelva. It is in the historical and commercial center, in a side street off the Plaza of the Nuns on the other side of the Palace of Shells, surrounded by interesting places to visit. It is a 3-storey structure in neoclassical style, constructed in the year 1923 as a result of the height of the social and cultural life of the period,because of increased trade and business from the industrial revolution and the Rio Tinto mining. It is managed by the Board of Culture of the City, with a theater for things such asopera, dance, concerts, etc..